German Beef Roast Recipe prepared with gravy. Beef Roast is called Rinderbraten in Germany. Wash leeks and tomatoes. Slice the leeks and tomatoes in big chunky pieces and place them in a colander. Peel celery, carrots, and onions and cut them in chunks. Add them to the leeks and tomatoes. Rinse the beef roast under running water and dry with a paper towel. Heat the oil in a roasting pan and place the meat in the pot. Rotate the roast with a fork making sure the roast browns evenly on all sides. Remove from pot and let the meat rest on a plate. Place the mixed vegetables in the rating pan you used for the meat. Stir with a wooden spoon. 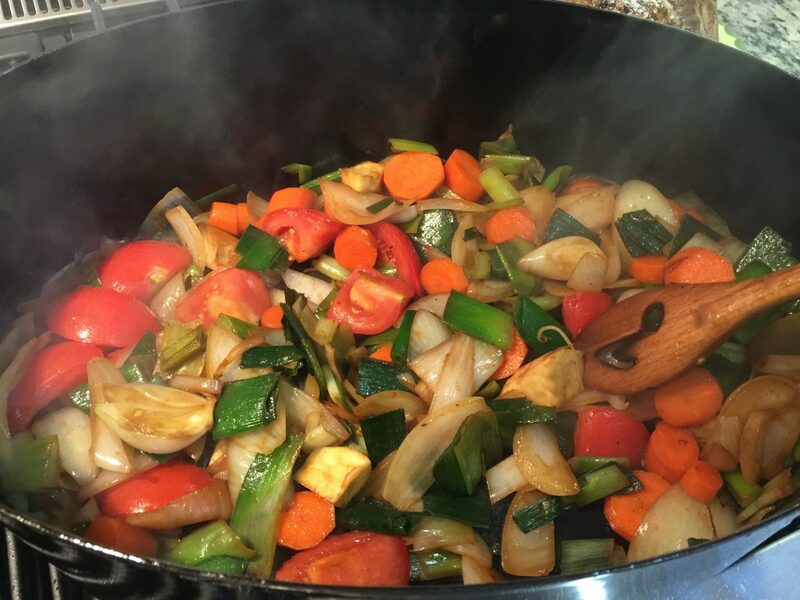 Sauté the vegetables until the onions become transparent. Then fill the pan with water and add salt and spices. Place the Beef Roast back in the pan, cover and let it simmer for 2 to 2 ½ hours on medium high. Refill water that evaporates from time to time. After 2 to 2 ½ hours remove the roast and let it rest again before cutting. 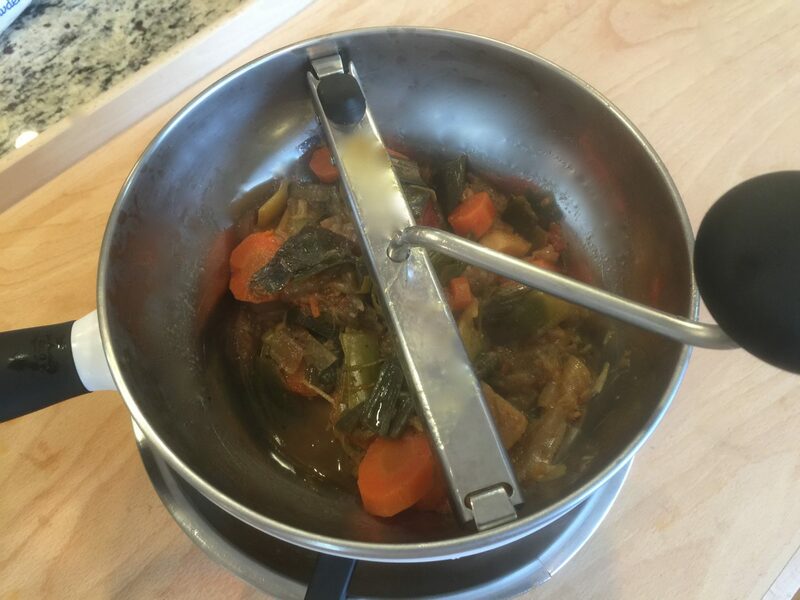 In the meantime, pass the vegetables together with the water through a sieve or a food mill. You should have about 1500 ml (50.72 oz) gravy. Bring the gravy to a boil and turn the heat down for the gravy to simmer. Add the sour cream; mix with a whisk until it is completely dissolved in the gravy. Add the corn starch to the wine and stir with a fork until dissolved. Add the dissolved starch to the gravy to thicken while constantly stirring. Season to taste and your gravy is done. Cut the beef roast with a sharp knife or use an electric knife and place the meat on a plate. Decorate with parsley or some fruit. Serve the beef roast with Potato Dumplings or Spaetzle.